Citrus �With its appealing shape, fragrant blossoms and edible fruit, a citrus such as an orange, grapefruit or lemon tree can enhance many sites receiving an abundance of direct sunlight. A drawback to citrus is its intolerance of cold. 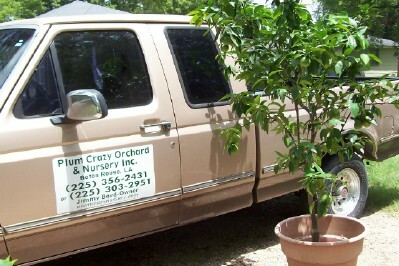 A moderate freeze can seriously damage or kill a citrus tree. With some planning, a little know-how and a vigilant eye on the weather forecast during the critical winter months, the gulf areas can successfully see their trees through the occasional frost. A citrus tree may be the ideal houseplant for a warm sunny room. 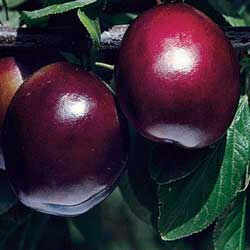 Their shiny, dark green leaves and fragrant blossoms add to the appeal of their brightly colored, ornamental fruit. Citrus trees need fast draining and fertile soil. They require 5-6 hours of sunlight. Feeding with a high-nitrogen, acid fertilizer should be done in late winter, June and August. In return for this minimal required care, you will be rewarded with continuous, year-round fragrant blooms and fruit.